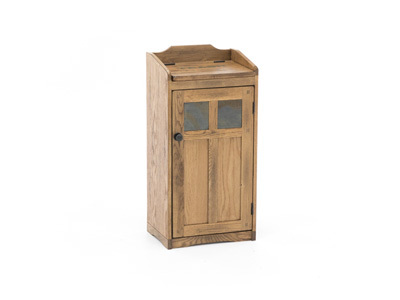 A very handsome storage/display cabinet! 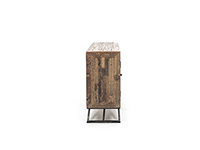 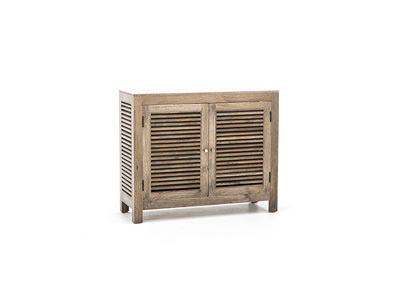 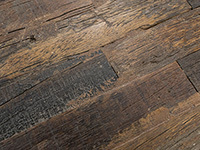 Strips of wood reclaimed from old railroad ties are hand set over a core of new wood and then sealed with a low sheen water-resistant lacquer. 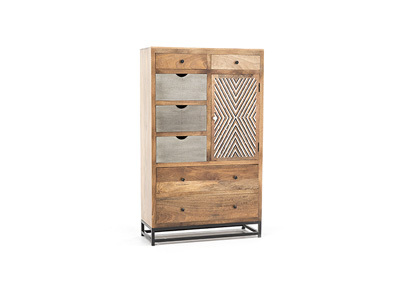 The interior of the cabinet, including the shelves, is solid wood overlain with sheets of the industrial metal known as ""German Silver."" 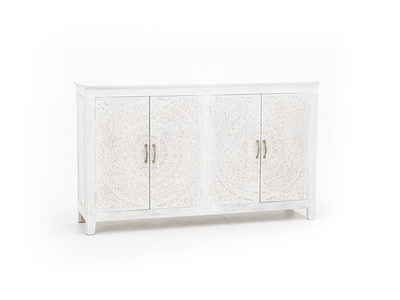 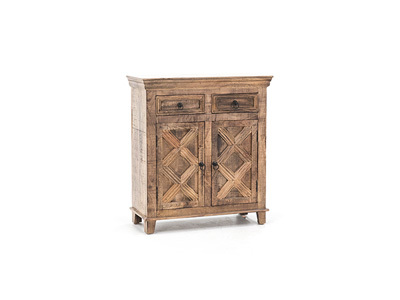 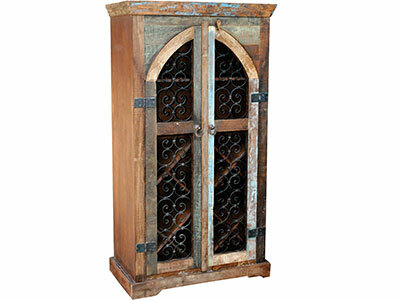 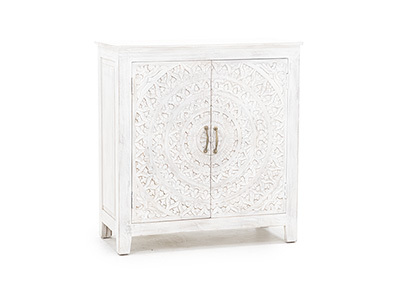 The cabinet is then set atop an arched iron base. 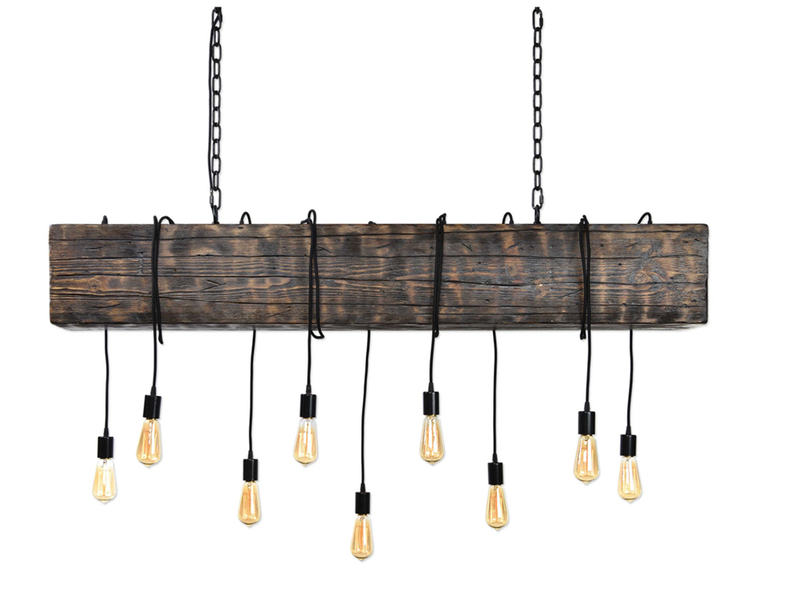 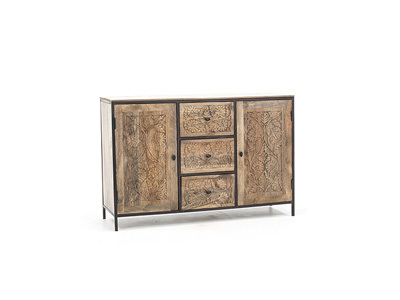 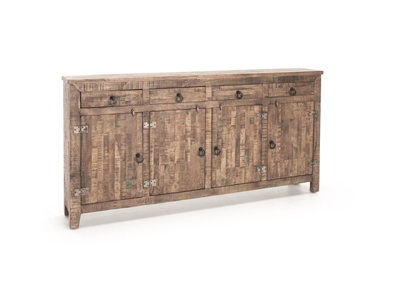 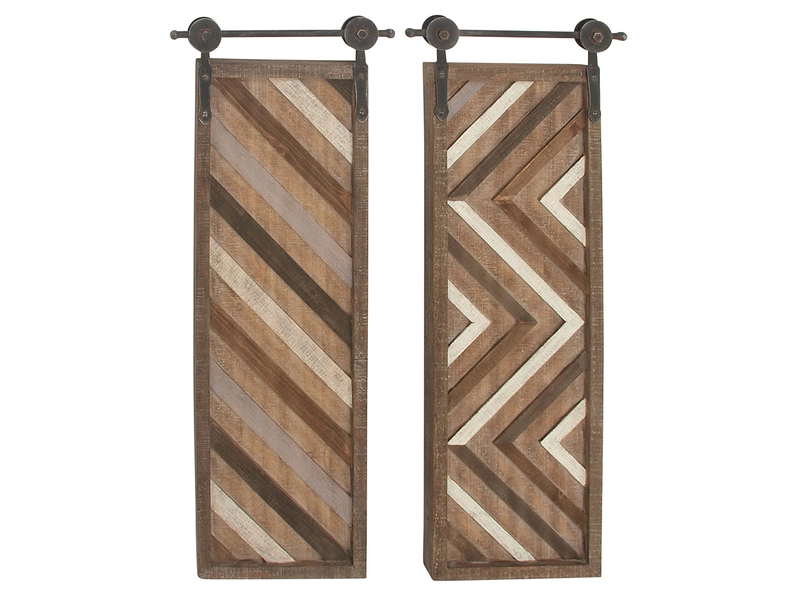 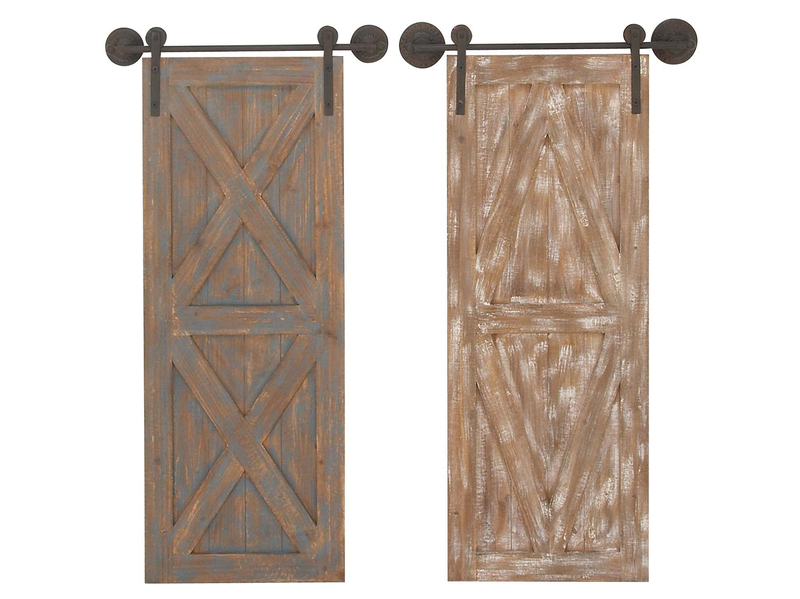 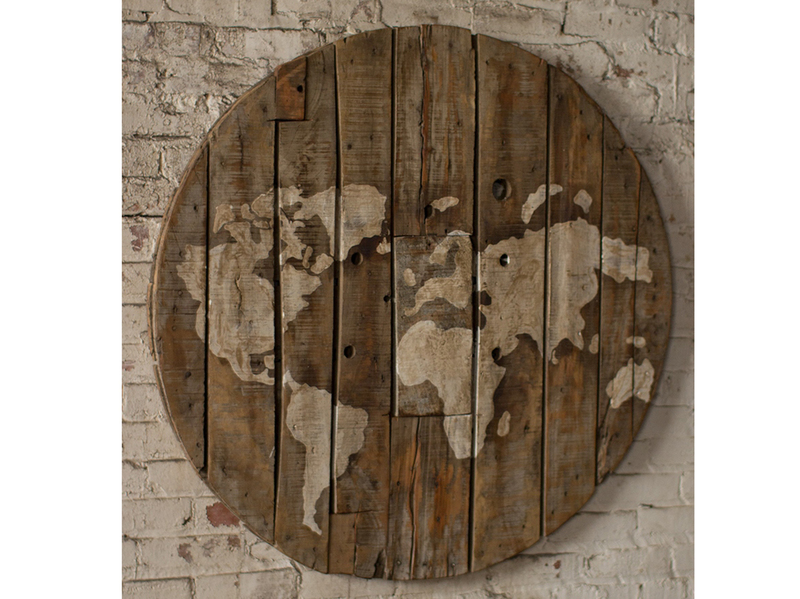 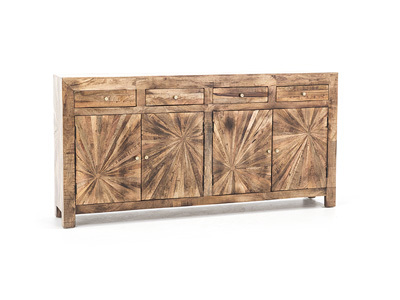 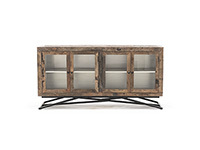 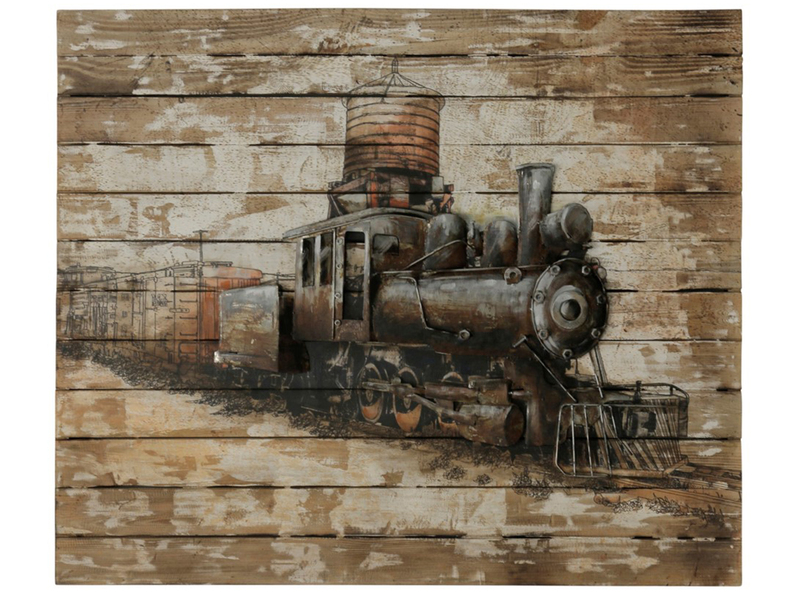 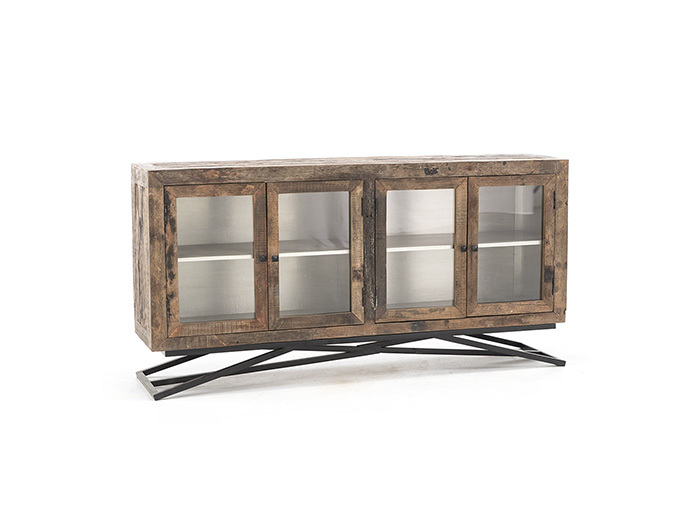 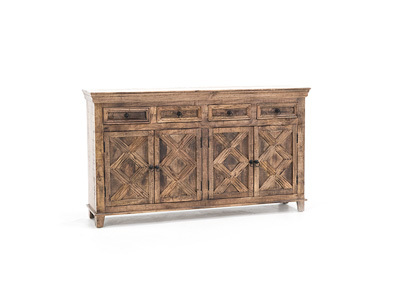 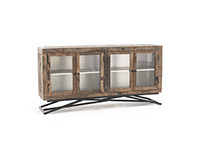 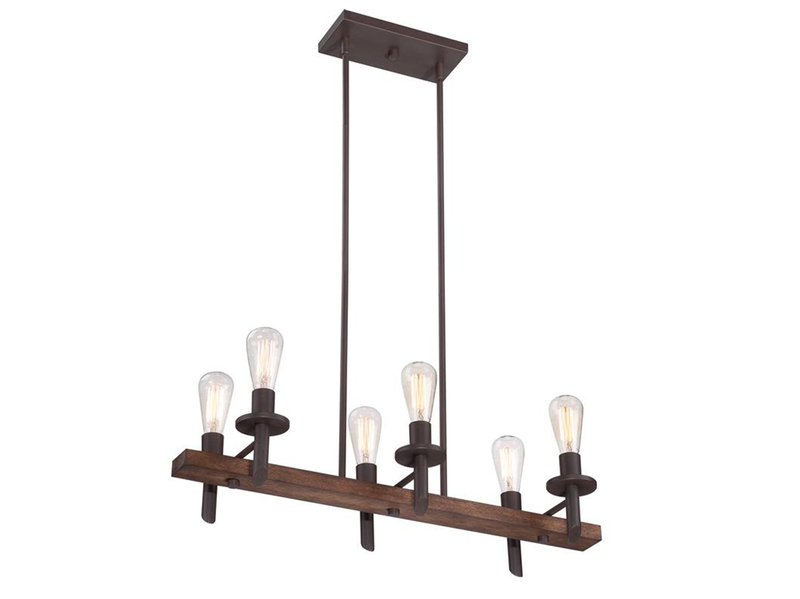 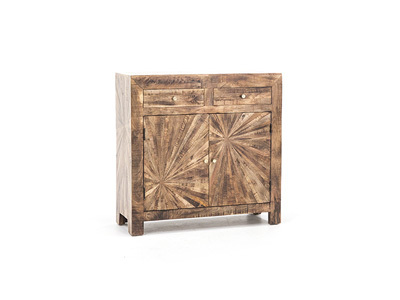 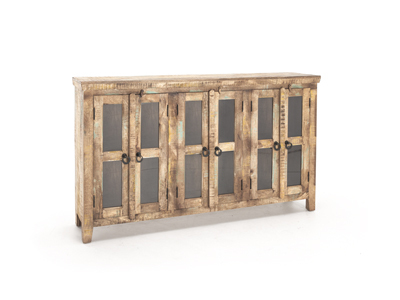 Perfect in a foyer, family room, dining room, etc...just the right touch of modern Industrial Chic!